The World Meister’s Note is a collection from Midori that fuses Japanese craft with the craft of other countries. 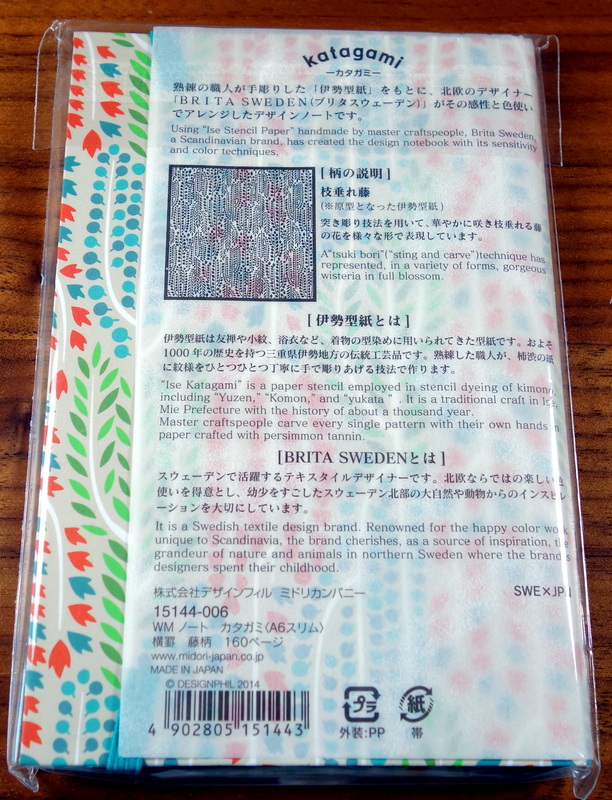 Volume 4 is called “Katagami” and features a collaboration with Swedish design brand Brita. 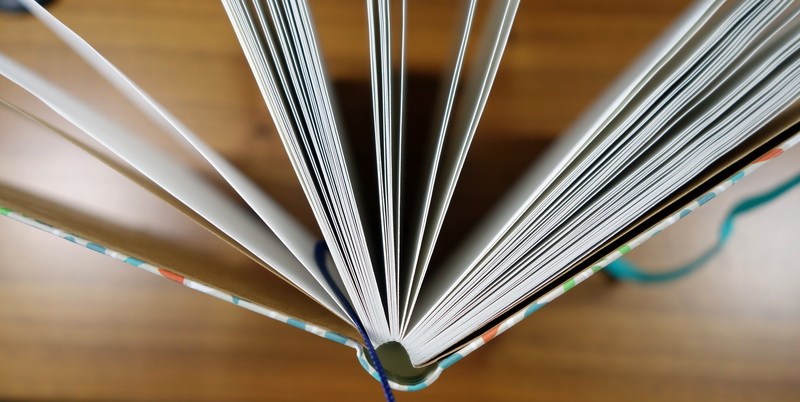 The notebook features handmade Ise Stencil Paper. 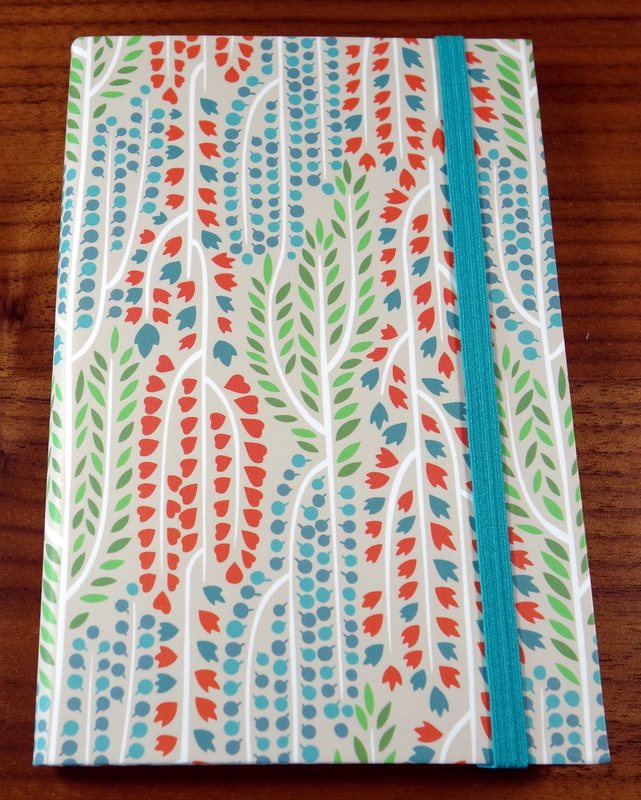 I love everything about this notebook except the look of cover. 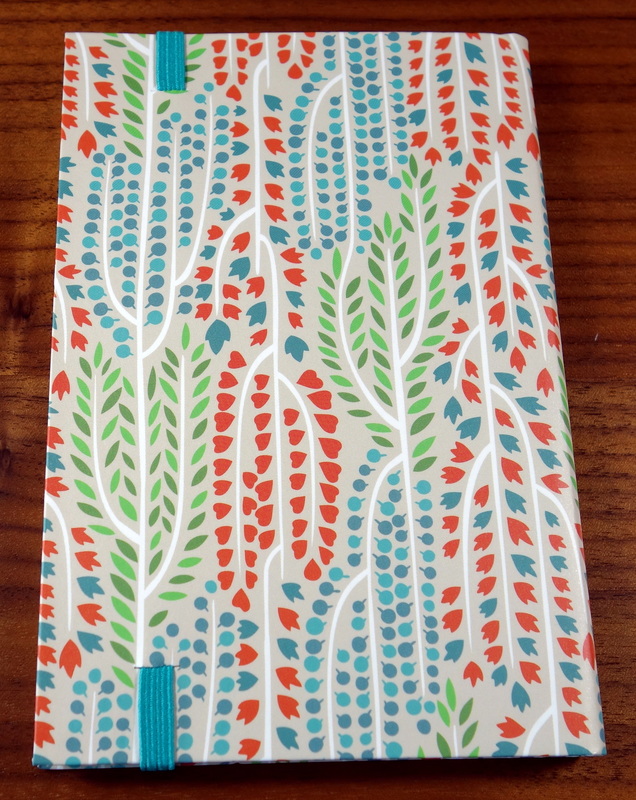 It’s a bit too feminine for my tastes but I love the elastic and the slim A6 size which measures 3.9″ wide by 5.8″ high. The cover has a smooth waxy feel but does not feel special like all previous volumes of the World Meister’s Note series that I have reviewed. Inside the book you will find 160 pages (80 sheets) of high quality Japanese Ise Katagami paper. The paper is awesome and definitely my favorite part of this edition. You will notice that the lines on the Ise Katagami paper are not perfectly straight. This is because the print is hand carved by a master craftsman. The paper performs beautifully; no bleed and no real ghosting. 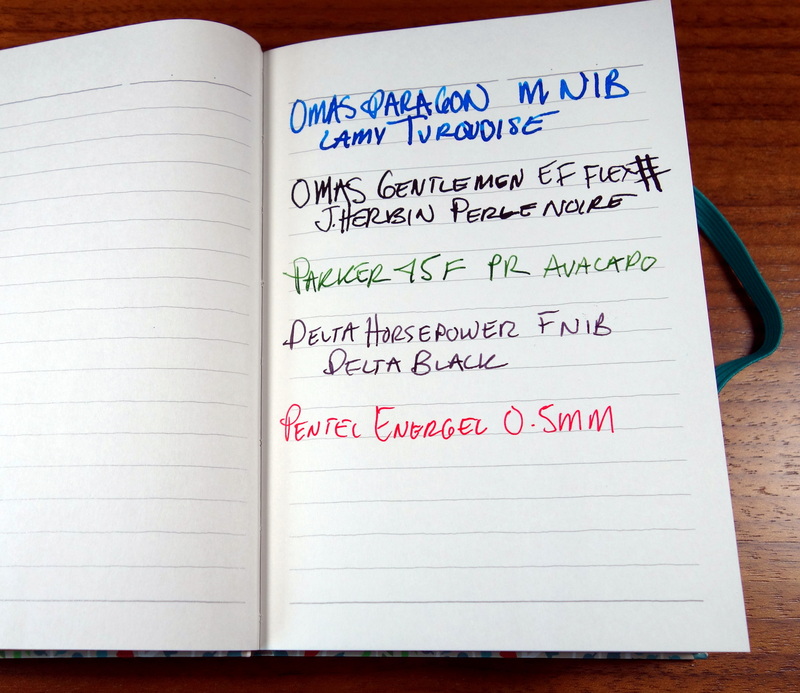 The paper is smooth but has a bit more feedback than Rhodia paper. I found the dry times to be slightly better than Rhodia. 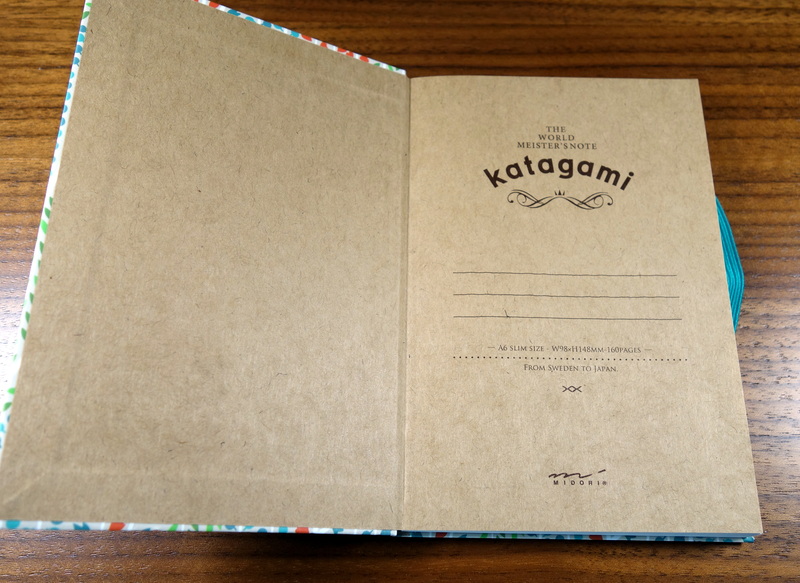 Like all Midori products the Katagami Notebook is very well made. It has a stitched binding and tiny little signatures. If they made a bit more attractive cover this one would definitely be my favorite of the series. 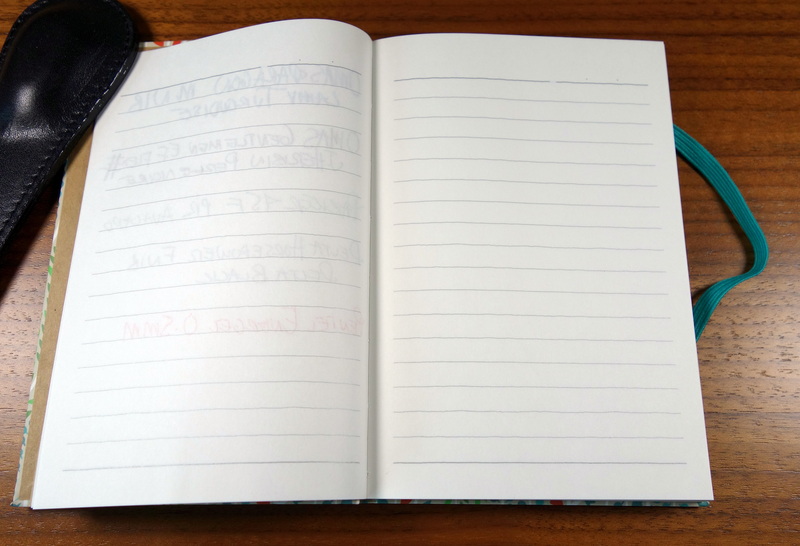 I paid $16 for this notebook at a local Japanese stationery shop and thats a lot of money for a little notebook but I do believe you get what you pay for.